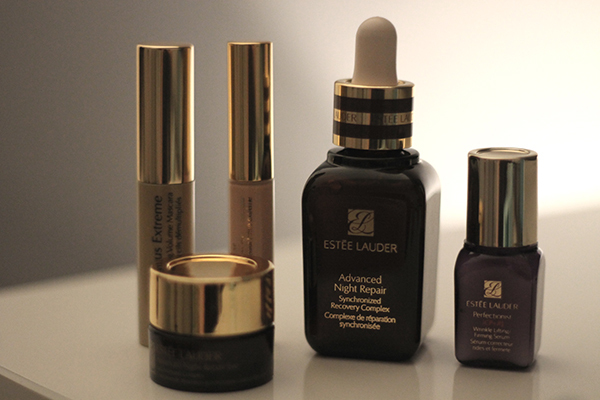 The day has finally came when I decided to cave and purchase the ultimate skincare product, Estée Lauders Advanced Night Repair. This purchasing decision wasn’t taken lightly and after receiving many many samples of the miracle worker when I purchase the Idealist Serum I decided it was time to take the plunge. Now I don’t have wrinkles yet, but I would say my main skin concern at the moment is acne scarring. I think it’s quite hard to accept the fact that even though I’ve managed to reduce my acne quite a bit, I’m still left with the redness and scarring from it so it’s time I did something about it. Advanced Night Repair helps repair your skin concerns over night and wake up with soft, smooth skin in the morning. When I use this, I notice a difference straight away from first use which shows how good it is. I can safely say I’m much more confident in being seen without makeup now as a result. It has a dropper applicator which helps you pin point where you want the product to go and how much you want to use. I like to put a drop on each area of my face and blend together for an even application. Some people like to use this before makeup but unless you wear a tinted moisturiser or powder alone, it probably won’t sit well with your makeup in my experience. Now for the price of this skincare beauty, it definitely isn’t cheap at £44. Whenever I purchase a pricey product I always wait for an offer code or a sample offer from signing up to the brands newsletter so I get my moneys worth. As you can see from the photographs, I got 4 (rather large) samples plus free delivery with this purchase and I’ve really been enjoying trying out all the products. If you have acne scarring or you wish to start using anti-aging products then look no further. Theres a reason why this product wins so many awards!